A black 2017 Chevy 3500 was customized by Darrell Braun, of Spencerville. 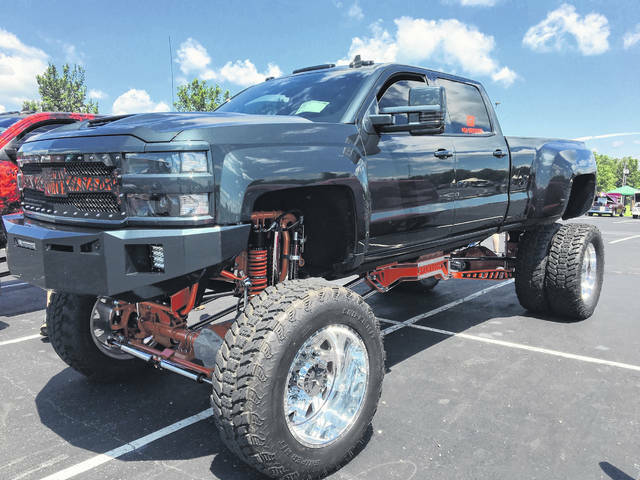 A red 2015 Chevy 2500 is a combination of Chrevrolet’s longstanding quality and Darrell Braun’s creativity. Darrell refurbished the vehicle after the honeymoon of his wife, who said it was too small. SPENCERVILLE — Darrell and Megan Braun, of Spencerville, love their trucks. The married couple brought two of them to the Lima Auto Charity Car Show in June. “He builds cars; he’s a high performance dual mechanic,” Megan said of her husband. The Brauns owned the 2015 Chevy 2500 when they married. “We were married, and it looked like a normal truck. I made the comment that it was too small. We came back from our honeymoon, and it went in the garage and didn’t come out until it looked like this. This is his passion,” Megan said. Chevy celebrated 100 years of truck history in 2018. The company has produced more than 85 million trucks in the century of truck production. While Chevy makes these trucks, the Brauns improve the looks with Darrell’s ingenuity. While building the trucks is Darrell’s passion, it’s Megan who enjoys talking about them and letting others know how talented her husband is. 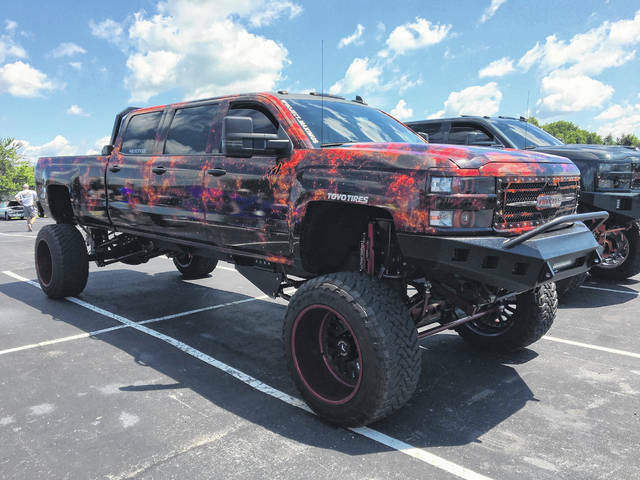 The couple had plans to take both of these trucks to the Sema Show in Las Vegas, which is a premier automotive show where innovative vehicles are displayed.